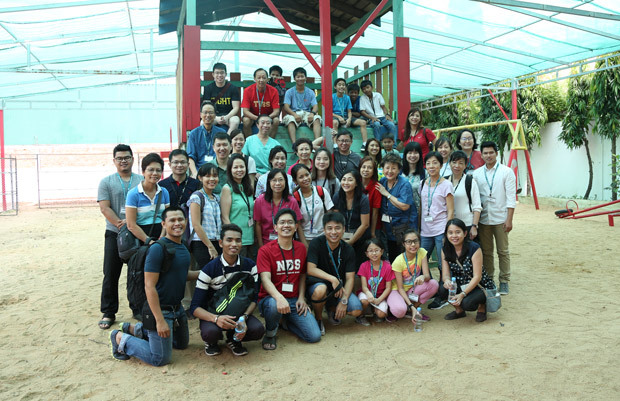 In December, a team of nearly 40 medical doctors, dentists, and healthcare professionals from Singapore volunteered at our Community Learning Centre in Phnom Penh. They provided medical screening to close to 200 students, and community clients. Working alongside them were local doctors, helping to translate conversations and ensure that the medical history of the children was clear. A number of Cambodian doctors are former Hagar clients who are now practicing medicine in their community. The team were inspired and encouraged by the work Hagar is doing. “There is a great ecosystem that is working here. These former clients that Hagar has helped to nurture are now doctors and they came back to serve their own people. I see great potential not only in Hagar’s work but also in Cambodia as well.” – Alfred Wong, healthcare volunteer.